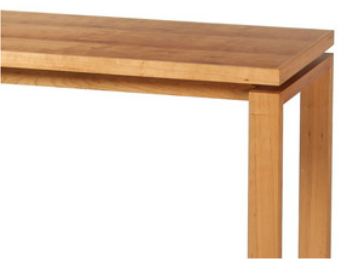 Tables are perhaps the hardest working pieces of furniture in our homes. We pile the detritus of our lives upon them, spread our meals over them, and prop our feet on their edges. 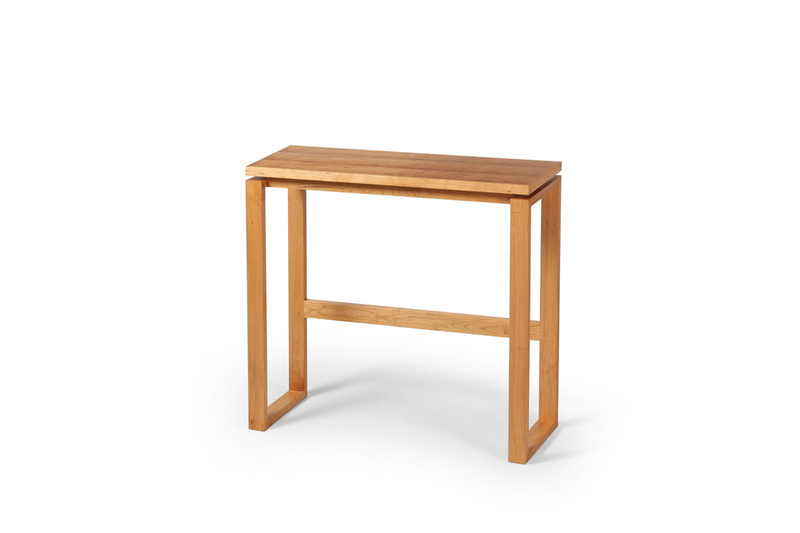 But the demands of their labor don't always require muscular frames and thick tops. 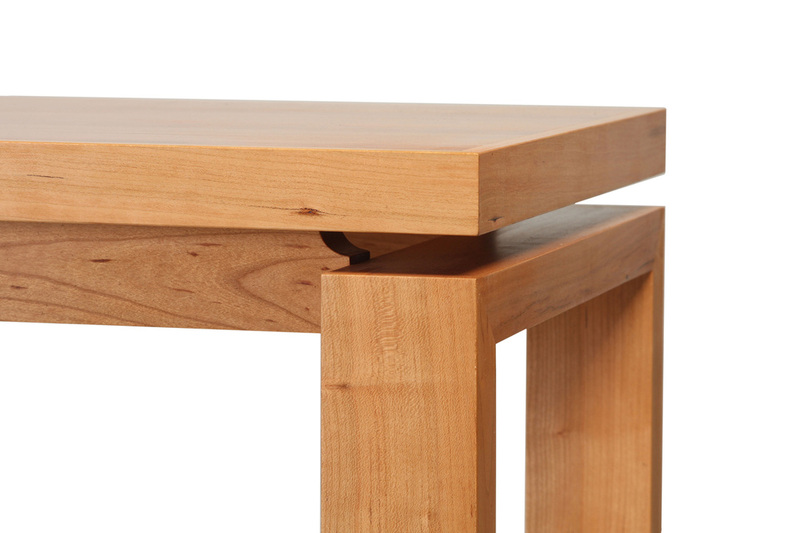 A delicate but well-built table can withstand years of use and abuse. Work done with grace is work done well. 14 in. x 40 in. x 36.5 in. This table's top is veneered in thin slices of cherry sawn from two boards that were salvaged from an antique, but broken, dining table. It floats above the base on two long rails that also help join the legs to one another. 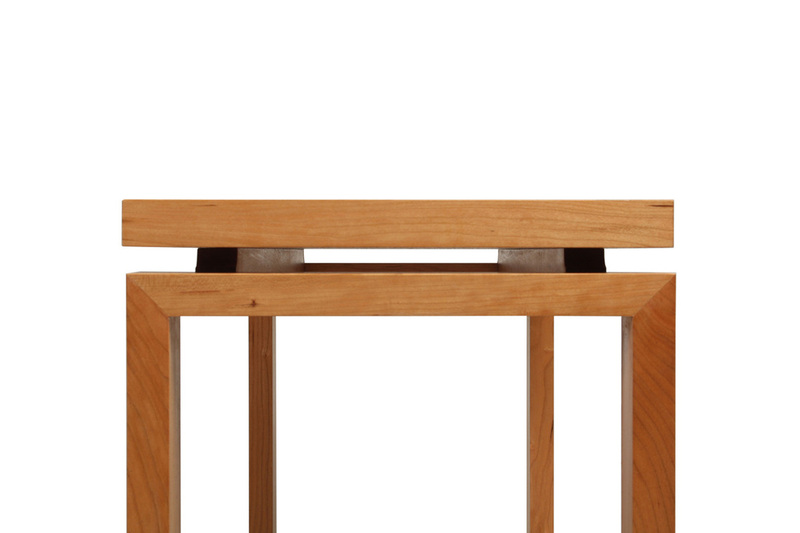 The geometric statement of the legs is echoed by the two rectangles create by the back stretcher—a strong, modern statement softened by the cherry's warmth.